Home Associations Thomas Fresh Takes on the Vancouver CPMA! The 93rd Annual CPMA Convention + Expo in Vancouver was a great success! This year, Vancouver treated us with beautiful sun all week and a convention full of memories. Thomas Fresh bought their “A” game with 14 in attendance and a unique booth which was home to a lively crowd. 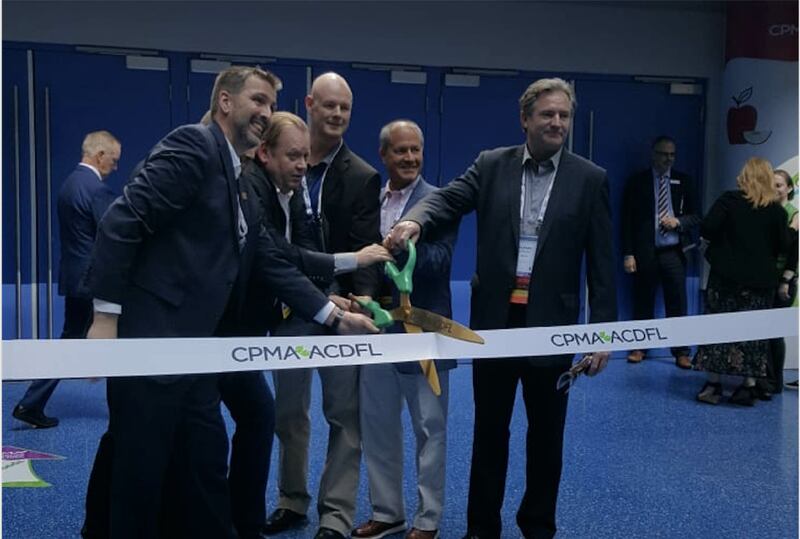 The CPMA convention started on Tuesday with the Chair’s Welcome Reception at the Telus World of Science, where we met with industry friends while interacting simultaneously with science. On Wednesday our CEO, Roy Hinchey helped cut the ribbon at the Trade Show Opening Ceremony. With the doors open for everyone to explore the trade show floor, the real fun began! 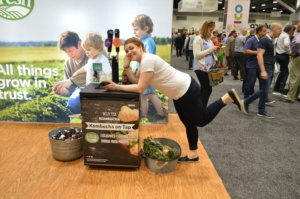 At our Thomas Fresh booth we quenched attendee thirst with deliciously refreshing kombucha from our friends at Wild Tea Kombucha. The Co-Founder of Wild Tea, Emily Baadsvik, an Olympic Team Member who represented Canada on our National Bobsled Team in 2014, was present to give out samples of both Pineapple Mojito and Wild Ginger kombucha flavours. All Wild Tea Kombucha uses fresh pressed juices made exclusively with Thomas Fresh produce. The kombucha was a hit! We gave those who already know and love kombucha tasty samples and maybe even convinced a few individuals that kombucha is delightful and easy to drink. 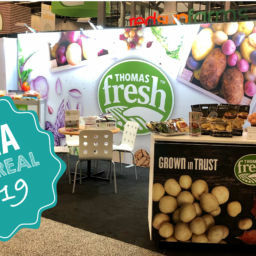 On Thursday, the energy continued at Thomas Fresh with many wonderful conversations at the booth along with an enjoyable challenge – involving potatoes of course. We invited attendees to pick a golden wrapped potato of their choice, unwrap it, where they proceeded to find a prize or the absence of one! 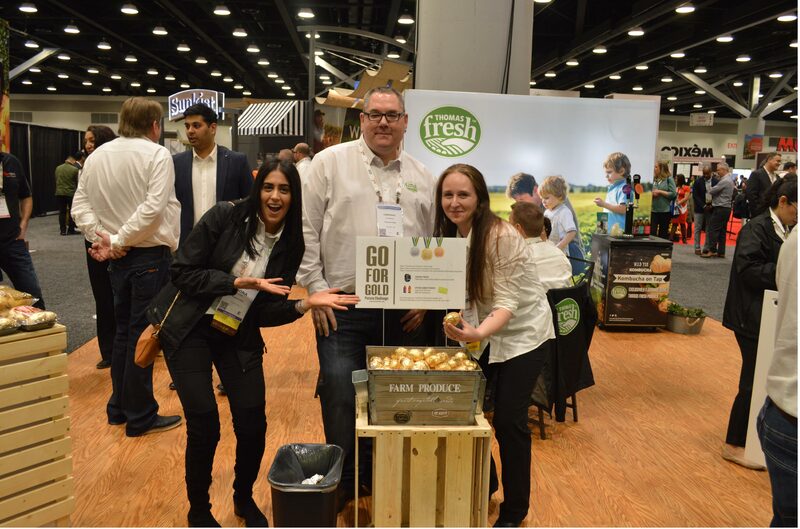 The game was simple and amusing with many lucky Wild Tea Kombucha bottle winners, along with Jugo Juice gift cards, and one fortunate winner of a Fit Bit Blaze Smart Watch – David from North American Produce Sales, congrats! We hope he uses this watch to “Live Healthy”! 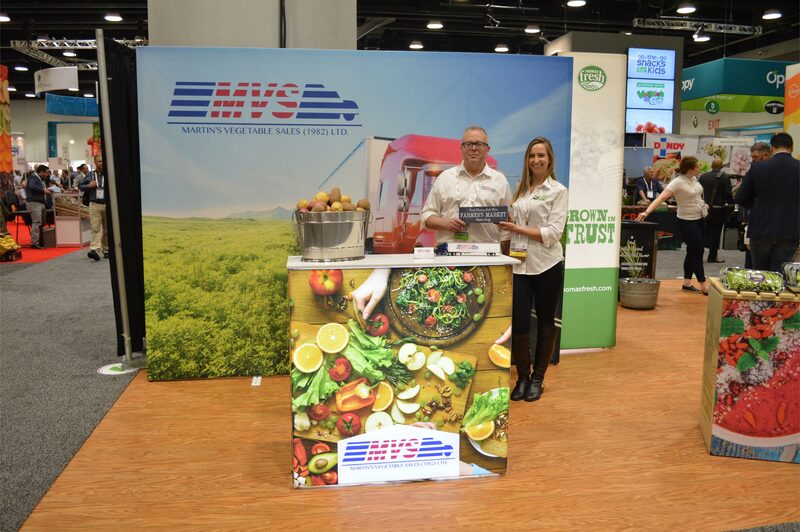 Within our Thomas Fresh Booth we were also proud to welcome, for the first time ever, MVS Transport, our in-house trucking and logistics carrier. 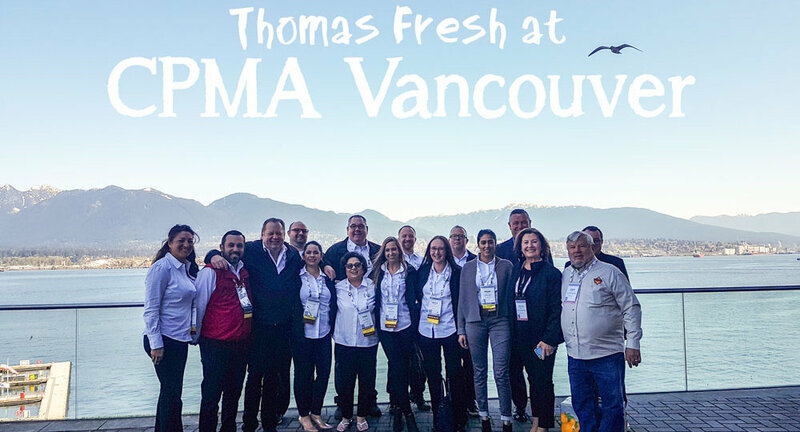 MVS Transport is a new member of the CPMA this year allowing them to make their mark on Vancouver as an extension of what Thomas Fresh offers for services. 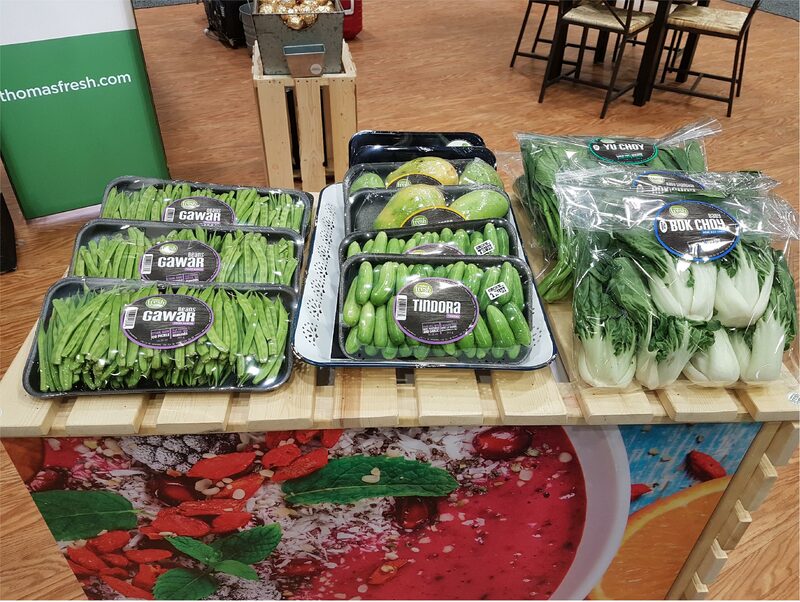 Our booth also emphasized our exotic Asian and Ethnic products including Tindora, Gawar Beans, and Baby Bok Choy . In addition to our New! Recyclable Pepper Trays and classic potato products. 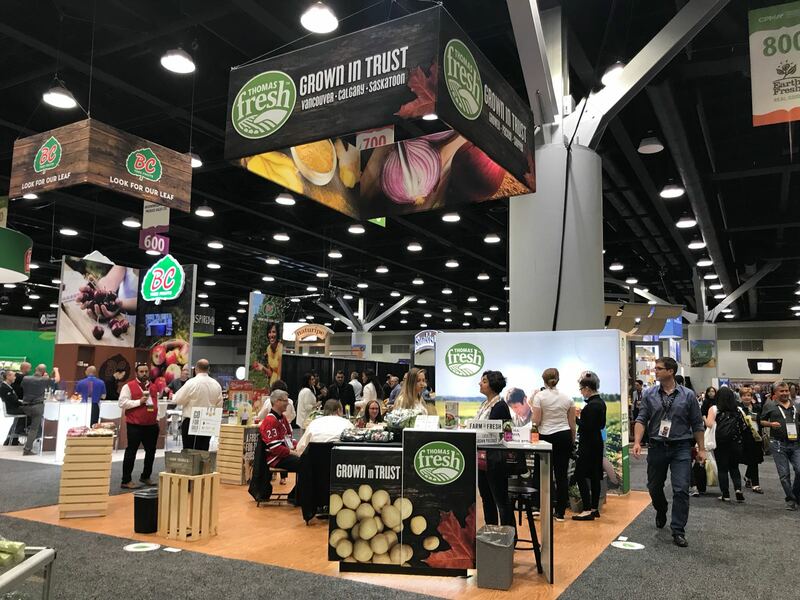 We would like to thank the Canadian Produce Marketing Association for a fabulous show and we can’t wait to do it all again in Montreal next year!